Click image to open in enlargement window. Click image again to magnify. Use back button to return. Shown above is a photo of an old scagliola table top, taken after restoration. The detail photo below shows the condition of the table top when I received it. The top had been in storage for many years, after suffering much damage from previous use. Evidently a very degraded varnish had allowed water to penetrate to the scagliola surface, softening the material enough to cause considerable losses. After thorough examination I decided to investigate the possibility, and the benefits, of removing all of the old varnish. 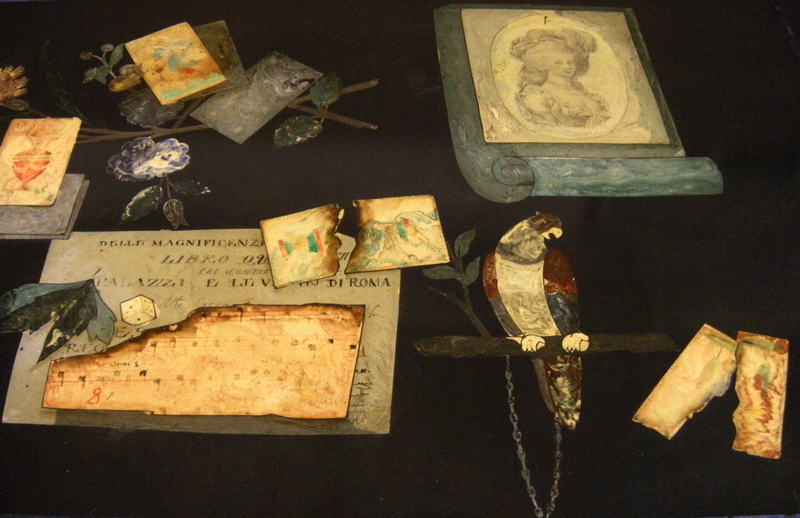 The photo above illustrates some tools and materials used for testing the varnish removal, and a “wet color” test to determine the visual effects of the exposed scagliola surface. I decided to proceed with the varnish removal. Beginning the removal at the corner. At this stage, I apply a fluid (in this case mineral spirits) to the top, to view it’s “wet color”. While wet, I can see that the surface is clean and smooth, and that all of the images are clear and colorful. I can now begin to address the damage to the scagliola. 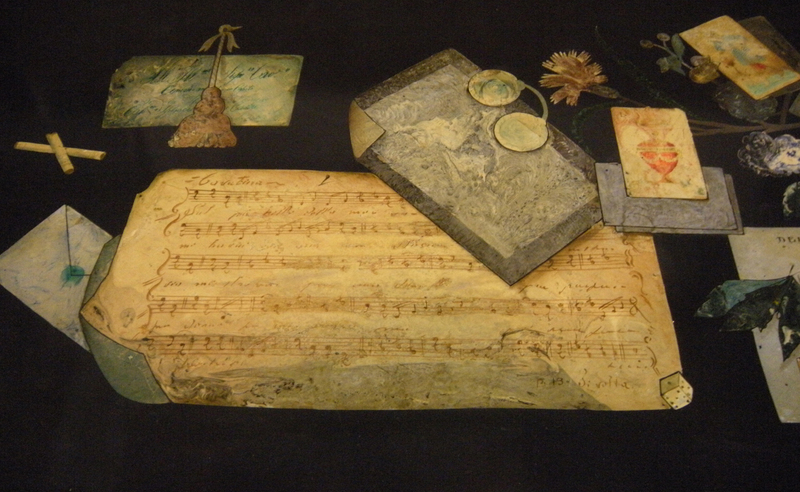 The photo above of the “marbleized paper”, and the photo below of the “sheet music” show the areas that required the most attention. These photos show the area after treatment. 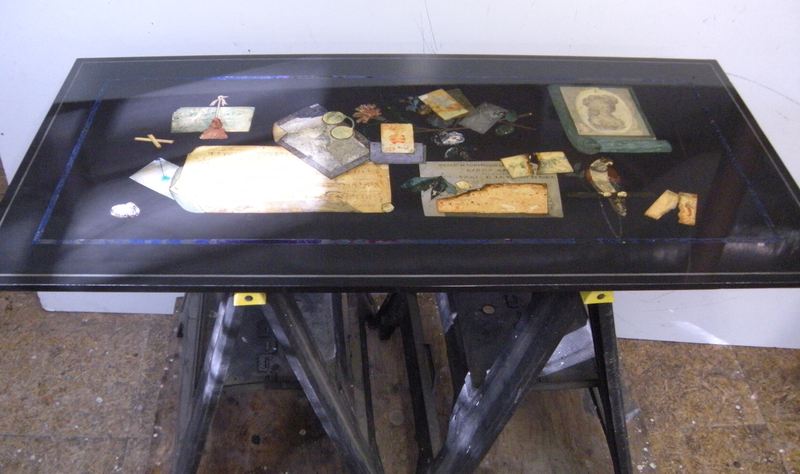 After all of the damaged areas had been restored, the entire table was given a finish that saturated all the colors and provided protection for future use. The left side of the top is shown above, the right side below.